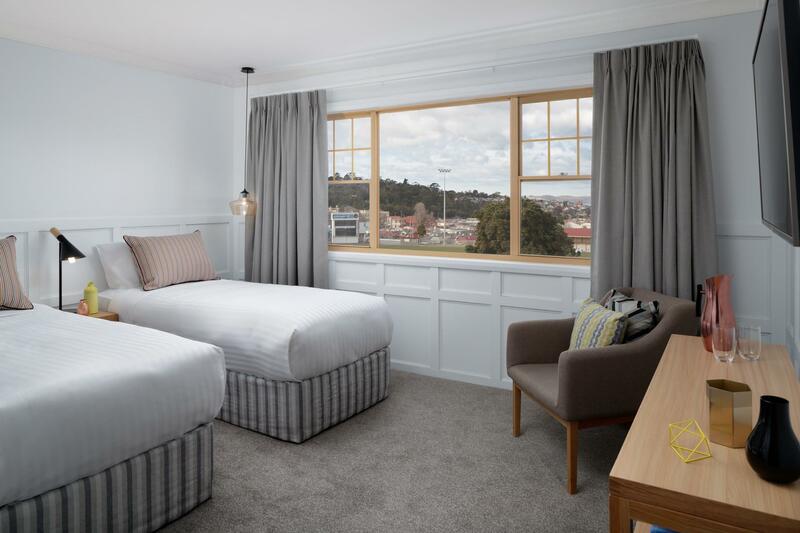 يشكل Rydges Hobart بموقعه الممتاز في هوبارت نقطة انطلاق جيدة لاستكشاف هذه المدينة النابضة بالحياة. يسهل الوصول إلى هذا الفندق ذو 4 نجوم من المطار، فهو يبعد عنه مسافة 25. Km فقط. يضفي محيط الفندق اللطيف وقربه من ‪Hobart Synagogue‬, سينما ستار, Queens Domain Hill Area سحراً خاصاً على هذا الفندق. 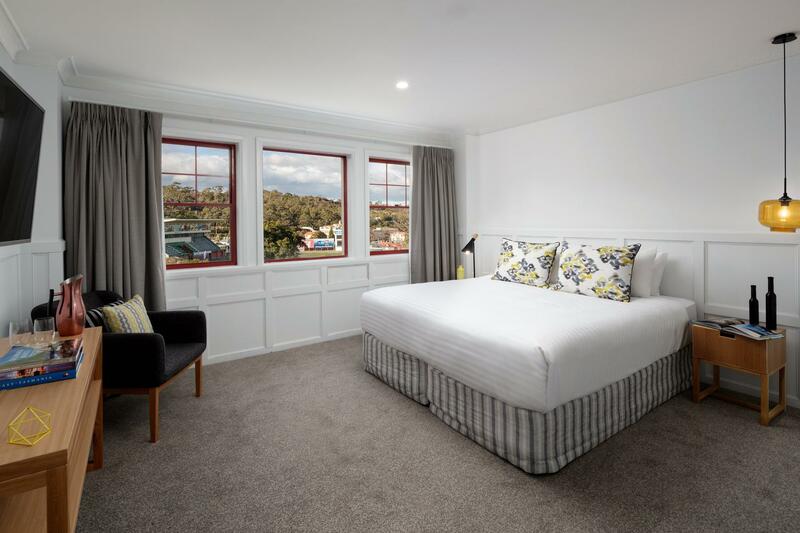 يقدم Rydges Hobart خدمات لا غبار عليها وكل أشكال اللياقة وحسن الضيافة اللازمة لإسعاد ضيوفه. إن واي فاي مجاني في جميع الغرف, تخزين الأمتعة, واي فاي في المناطق العامة, صف السيارات, خدمة الغرف هي جزء فقط من الخدمات التي تميز Rydges Hobart عن باقي الفنادق في المدينة. يمكن للنزلاء الاختيار من ضمن مجموعة من الغرف المصممة بعناية لتعكس جواً من الراحة، والتي يتجاوز عددها 63. يمكنك طلب اللائحة الكاملة للخدمات في الفندق ومن بينها حمام سباحة خارجي. إن Rydges Hobart هو خيار ذكي بالنسبة للمسافرين إلى هوبارت، بما يوفره من إقامة هادئة ومرحة. The staff were brilliant. The unit was spacious. The pool was warm. Our stay was good. The decor in our unit was dated and tired and what was in the kitchen was minimal however our request for other items was met promptly. My comment on food is the middle as we did not eat there. Given the value for money I would prefer the value rather than an update. The staff were absolutely brilliant, very professional and helpful and friendly. I would definitely go back. The buildings have great character and the location with its views is great. Staff were very helpful and friendly as you would expect. The only disappointing aspect for us was the cleanliness and facilities in the room. The room itself is large and well fitted but lacks common utilities ie. toaster, plates, knifes, forks etc. There is a microwave but nothing else. We also were disappointed with the daily housekeeping, the bed top cover was only ever pulled up and tucked in, the bottom sheet left crumpled. It’s these small details that cast a disappointing shadow over the stay. Get those things right and we would have no complaints at all. One other suggestion would be to put a second TV in the front lounge. It seemed a wasted and under-utilised room. We had a great experience at this hotel. Staff were very helpful letting us store luggage for a few extra days. Definitely a little dated but perfectly adequate for the price. We stayed in a 2 bedroom apartment style room which was quite large and roomy. We paid a reasonable price which included breakfast - continental was good/average, the full breakfast menu however was surprisingly good! Location is right around the corner from North Hobart Elizabeth St shops - State Theater cinema is great and a few good cafes. Also recommend the Tequila bar! Follow the road down and after a solid but easy 30 min walk you'll be right in the heart of town. We would stay again. Hadn't stayed here for 20 years. Nothing has changed. Rooms are dated but clean. They are about to start renovations for a new modern look. Service in the restaurant was not very good. Had to wait a long time for my meal and then only got my drink half way through the meal. The food was very good though. I was charged twice for my meal on checking out. I would recommend Rydges to my friends. Thanks for being so loyal and we cant wait to show you our new hotel. after renovations. The staff here are wonderful, helpful and friendly. 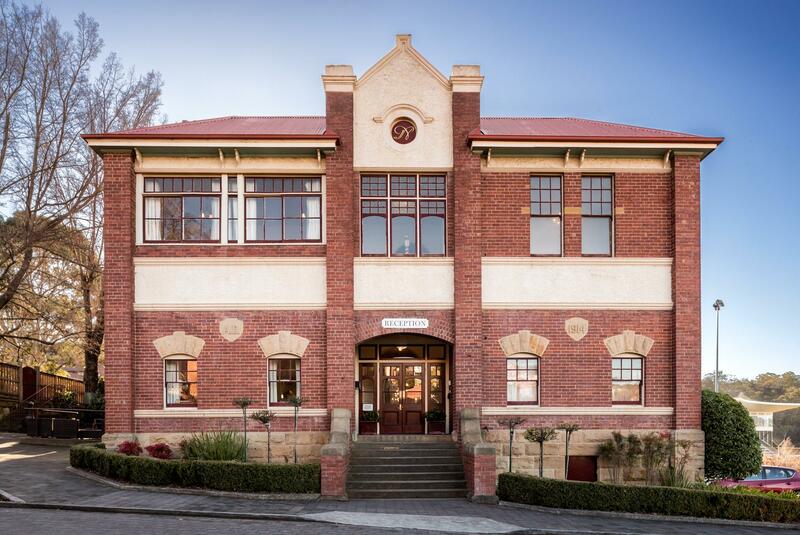 This hotel is in a beautiful old building and some of the rooms are due for a makeover but the position is great for North Hobart restaurants and is just a nice easy 30min walk to Salamanca Bay. Breakfast, view from the room and car parking. The reception and dining room staff were great. They had an excellent knowledge of attractions in Hobart. The staff member who made up our room each day need training in bed making. The bed spread and top sheet was good in that they had been straightened and retucked. The bottom sheet was left in the same condition as it was after we had slept the night in the beds ie it was rumpled and loose. Lovely hotel in Hobart. Some reviews have really knocked the Rydges but I found it be comfortable, quiet and good value. I do agree that a renovation is due and the room staff were not exactly attentive to details (bed not made after first night) but all in all a nice place to stay. Only real downside for me was the lack of reasonable dining and a supermarket within walking distance. Nice enough place to stay, with helpful staff. A bit far from the centre as we like to walk out to local sights etc. Watch the bill as they got ours wrong despite it being for only 3 meals ! The room was superb condition as it was recently renovated. One of the best hotel I stayed for my last trip. Highly recommended for family with kids as the room attached with living hall. Stood in reception waiting for acknowledgment from staff member on arrival and again when returning key. Room 26 was spacious however one curtain was torn and another off the rail. Bed sloped on one side which caused poor sleep. No fan or a/c on a very warm night. Noise from staff working below until late and then again early morning. Dining chair about to break - unsafe. Tile walls in bathroom dirty and dusty skirting board in kitchen. Nail protruding from carpet at entrance to kitchen. Nicely renovated bathroom and kitchen. It appeared nothing worked. The room was old and dirty, some globes in the room were removed and/or not working (room 62). The kitchen was being renovated and the pool was closed. The room was serviced once, from my choice but it was not cleaned or vaccumed, just the towels were replaced. The rubbish bag that I had left to be taken away was left in my room. Oh, the sheets were tidied but not replaced. Anyway, not the place I would recommend to others. The property is good value for money as it includes breakfast the rooms and the interior is very tired (needs a makeover a touch of paint wouldn't go astray) there is a nice bar there if you could get a drink ordered one but the barman disappeared had to move elsewhere . We enjoyed our stay. It was reasonably expensive but as it was New Year following finish of major yacht races and during a large food festival, all hotels in Hobart were expensive. The was a hand written welcome note and complimentary bottle of sparkling wine in our room on our arrival which was a nice touch. Good stay,did have trouble with card entry to door. Went out of room to get some stuff from my car.tried to get back into room,card key wouldn't work,I was locked out of the room.had to go to reception to get it fixed. 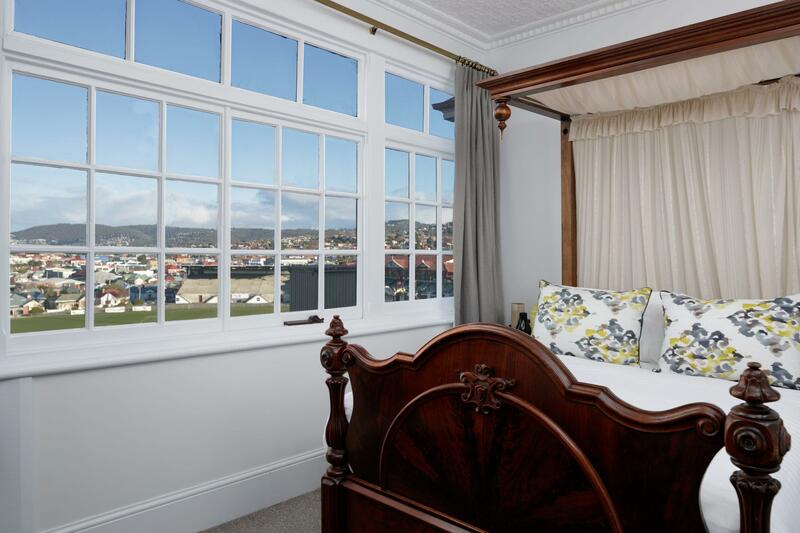 When we arrived the heating wasn't on and it was a very cold winters day in Hobart, it took ages to warm the room up. The bathroom is so old and very small it could definitely use a renovation. The bed being king was good but it was WAY too soft and the pillows were useless, you need something to lay on that doesn't disappear like a puff of air under your head. Lucky there was a spare doona in the cupboard for the fold out bed we didn't need as it was a cold room anyway being so old and only a sheet a a thin doona type thing on the bed. The TV was tiny for the room. I went to make myself a cup of coffee to warm myself after arriving and the kettle was so dirty and smelt so disgusting that I just couldn't use it. It looked like it had never been cleaned and perhaps someone had put something in it like tea. But the smell made your stomach churn. All in all I was very disappointed with the room, I thought being Rydges that staying in a room the called itself "Manor King" meant it would look something like it should in the 21st Century rather than being so outdated that I doubt anything had been done in that room for many years, except one wall look like it had been recently painted but that was it. You couldn't even cosy up in a couch as it only had two rather uncomfortable chairs to sit it. Everytime the toilet was flushed in the room next door it was like it was in the same room as you and even the shower next door was so noisy it woke my husband up when the person next door turned in on. Don't think I'll ever stay there again and wouldn't be recommending it to anyone else.